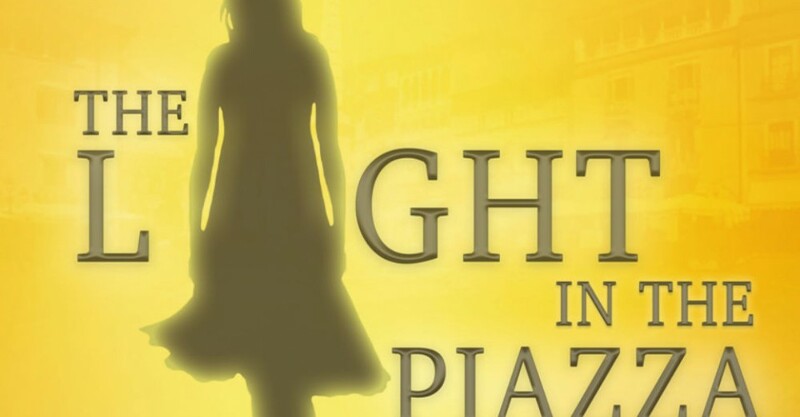 Davine Interventionz has continued to ensure there is a musical theatre premiere for Adelaide Fringe audiences; The Light In The Piazza is their 2016 offering. The music and lyrics by Adam Guettel gives modern musical theatre a classical and opera flavour. Complex orchestrations are handled admirably by the cast and orchestra, but the score lacks any memorable tunes. Based on the novella by Elizabeth Spencer and a book by Adam Guettel, the story on the other hand is beautiful and follows the journey of Americans Clara Johnson and her mother Margaret on a trip to Florence in the 1950s. Clara, whose mental capacity is delayed due to a childhood head injury, falls for the equally besotted local Fabrizzio Naccarelli, and Clara and Margaret are embraced by the Florentine Naccarelli family. There were a number of wonderful performances by the cast. Katie Parker, as the wealthy American Mother Margaret Johnson, was outstanding and so superbly emotive during her songs, such as The Beauty Is (Reprise). She ensured the contrast between her American culture and the Naccarelli Family was brazen and hilarious. David Visentin was also fantastic as Signore Naccarelli with a playful likability as well as a smattering of Italian stubbornness. Congratulations must go to the entire Naccarelli family cast who spoke and sung in Italian or broken English. My Italian speaking guest was impressed by the accents and articulation of many in the cast. As the lovers Clara and Fabrizzio, Kristin Stefanoff and Lindsay Prodea displayed a wonderful naïve, innocent obsession with each other. The costumes fitted the era nicely and the set generally worked well. Set movement, lighting and sound will hopefully improve as the season continues. The audience won’t leave the theatre humming any of the tunes, but will hopefully be satisfied by the story and performances of the cast. The Light In The Piazza continues at Star Theatre One, at various times, until Sat 5 Mar. Star Theatre One, Wed 24 Feb Davine Interventionz has continued to ensure there is a musical theatre premiere for Adelaide Fringe audiences; The Light In The Piazza is their 2016 offering. The music and lyrics by Adam Guettel gives modern musical theatre a classical and opera flavour. Complex orchestrations are handled admirably by the cast and orchestra, but the score lacks any memorable tunes. Based on the novella by Elizabeth Spencer and a book by Adam Guettel, the story on the other hand is beautiful and follows the journey of Americans Clara Johnson and her mother Margaret on a trip to Florence in the 1950s. Clara, whose mental capacity is delayed due to a childhood head injury, falls for the equally besotted local Fabrizzio Naccarelli, and Clara and Margaret are embraced by the Florentine Naccarelli family. There were a number of wonderful performances by the cast. Katie Parker, as the wealthy American Mother Margaret Johnson, was outstanding and so superbly emotive during her songs, such as The Beauty Is (Reprise). She ensured the contrast between her American culture and the Naccarelli Family was brazen and hilarious. David Visentin was also fantastic as Signore Naccarelli with a playful likability as well as a smattering of Italian stubbornness. Congratulations must go to the entire Naccarelli family cast who spoke and sung in Italian or broken English. My Italian speaking guest was impressed by the accents and articulation of many in the cast. As the lovers Clara and Fabrizzio, Kristin Stefanoff and Lindsay Prodea displayed a wonderful naïve, innocent obsession with each other. The costumes fitted the era nicely and the set generally worked well. Set movement, lighting and sound will hopefully improve as the season continues. The audience won’t leave the theatre humming any of the tunes, but will hopefully be satisfied by the story and performances of the cast. Bobby Goudie The Light In The Piazza continues at Star Theatre One, at various times, until Sat 5 Mar. Book at FringeTIX on 1300 621 255 or adelaidefringe.com.au. Click HERE to purchase your tickets.